Ellen graduated from the University of Alabama in 2003 with a degree in apparel design. In this time, she was able to uncover her true passion: creating jewelry and headpieces. This discovery led Ellen to the London College of Fashion in 2004 where she enrolled in a summer intensive program to study wire wrapping and beadwork. Upon graduating college, Ellen returned to her hometown of Memphis, Tennessee to work for a local headpiece designer. During this time, Ellen learned the ins and outs of making headpieces, from hand painting and baking ceramic flowers, to handcrafting ornate jewelry. 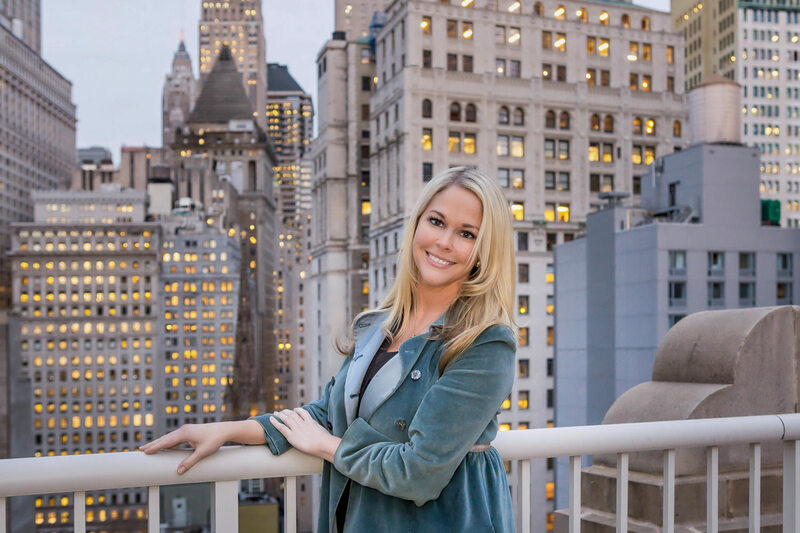 Ellen moved to Manhattan in the winter of 2007 when she was offered a position at Nicole Miller as a bridal specialist. During her time at Nicole Miller, Ellen became enamored with the process of getting to know individual customers and helping them create a look that would be personal, meaningful and beautiful. Based in Manhattan, Ellen Hunter NYC boasts a unique and eclectic collection of combs, headbands, and unique flexible wreaths. Anyone donning an Ellen Hunter creation can truly boast that she is wearing a one-of-a-kind. Ellen's collections can be found in some of the most prestigious stores around the world, including Manhattan’s own Bergdorf Goodman and Kleinfeld Bridal. Her designs have been worn by celebrities like Beyonce, Katherine Heigl, Ariana Grande and Carrie Underwood. The collection has also been featured in national publications including People Style Watch and In Style and has been featured in exclusive runway collections for designers like Carolina Herrera and Leanne Marshall.